WHY ALL THE FUSS ABOUT TOPICAL PREACHING? THE QUESTION SHOULD BE IS IT BIBLICAL PREACHING? The proponents of topical preaching, such as Dr. Hyles, were not against other styles of preaching. He nor do I fight exposition or textual treatments of a subject. 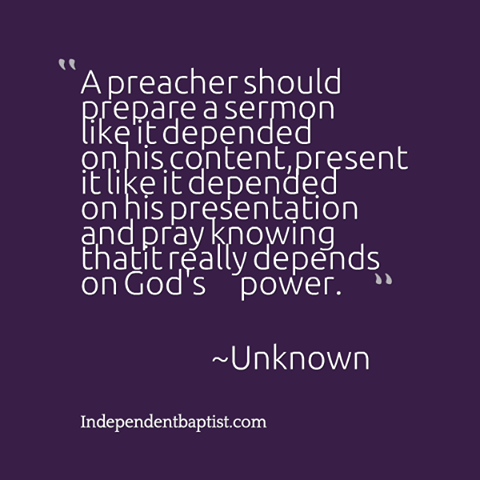 I know many men, who early in their ministries, preached only expository sermons because that is all they knew. I still love and respect them. Unfortunately, those who promote expository preaching, most often are critical of topical preaching, in spite of the fact that some of the greatest works of God were done by men who were topical preachers. They are intolerant of topical preaching and even excoriate it as almost some kind of evil. That in itself reveals something to me. Why do they hate it so? I think it is because they have to attempt to demonize it in order to defend their position. That is foolish. I am not here to argue style. I am here to preach the gospel and help people. I am for the man who uses his King James Bible and does a straightforward exposition of it. Jack Hyles loved men like Oliver B. Greene, who utilized expository preaching. Dr. Hyles, however, preached topically and taught his preacher boys to do the same. He was an amazing communicator and no one could honestly accuse him of not being a Bible preacher. Dr. Hyles had better things to do than to fight those good men who preached expository sermons. In talking to Dr. Hyles and in listening to him discuss the subject of topical preaching; I learned the reasons why he chose to be a topical preacher. It was not because he could not have done differently; it was simply the method he chose to preach. 1. Dr. Hyles knew that most men are not capable of successfully building a church and preaching expository sermons – I did not say that it cannot be done, but for the most part it is difficult. Dr. Hyles studied all the time, but the duties of a pastor of a small country church are demanding. Most men have little or no staff and they are left to do almost all of the pastoral work. When you listen to the proponents of expository preaching, you will soon discover that they put a huge emphasis on study. Let me say this. Dr. Hyles believed that a man who did not study and properly prepare for his messages was not worth his salt. It bothered him that men would throw together a warmed over “repeat” sermon simply because they did not make the time to study. That said the job of a pastor is to do more than just study and pray. In the book of Acts we see that the church was exploding in growth. Up to that point the pastors were busy and involved in all the work of the church. They did not pawn it off, but eventually it was just too much. There were so many new converts who needed to be taught the Bible that there was a need to have others who could help with the work of ministering to the widows. Thus, deacons were chosen for that task. · Organizing and administering the Sunday school. · Organizing and administering the Training Union. · Finding and training others to preach and teach. · Organizing ministries where the Word is taught. Anything that was a part of getting out the Word would have been a part of their duty. In fact, the only thing we see taken from them was waiting tables in the ministry to the widows. Dr. Hyles never believed that the ministry of the Word was all about HIM preaching. Was that a part of it? Of course it was, but so were all of the other programs and ministries that taught the Word. Here are some thoughts on this that he believed. You grew out of certain duties. You did not just pass them off. Dr. Hyles never quit doing anything entirely. He never stopped visiting the hospital entirely. However, he did have to pick and choose whom he visited. 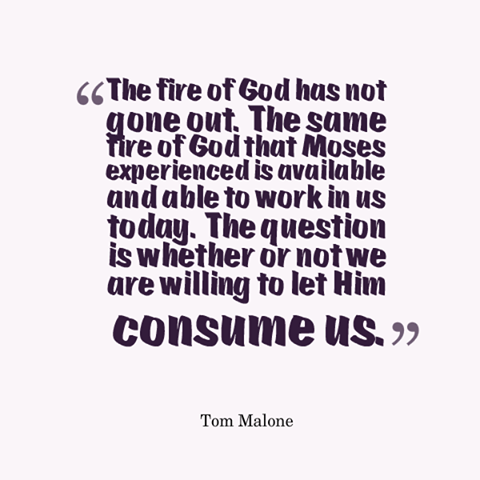 He stayed active in every aspect of the church because all of it was the ministry of the Word. The pastor was still commanded to be the overseer of the entire church. Pastors who think they can hire an executive to run the business of the church are mistaken. You are still responsible and there is no place in the Bible where we find this concept. Training lay people is far more important than hiring staff members in the work of the church. A great church has a multitude of lay leaders throughout. Eventually, there is a need to hire someone to assist in carrying the pastoral load but not just to allow the pastor to stop training lay leaders. Dr. Hyles believed that the day the pastor has staff leading more things in the church then they do lay people, their church is on the decline. Allow me to show you the hypocrisy of those who use Acts 6 as some kind of edict on preaching or studying. If you are going to use that, then you should also make certain your deacons are doing only what they have been chosen to do, which is to wait on tables and care for the widows. That appears to be the only responsibility given to deacons in the Bible. That still leaves a lot of things for the pastor. There is NO PLACE in the Bible where pastors were commanded to turn completely over the administrative duties of the church so that they could study and pray all the time. Dr. Hyles taught me that a man who builds a great church increases his capacity not relinquishes it. He taught me that a man who ministers enough would eventually need to administer. Administration is the expansion of ministering. Ministering the Word is more than preaching, or it would have said preaching. We have too many clerical preachers, but not many administers. The difference is this: Clerical work is serving the widows. Ministering is reaching and teaching them. Administering is organizing and teaching others to reach and teach them as well. 2. Topical and shallow were not synonymous terms to Dr. Hyles – This was a pet peeve of his. If pride is a bad thing, then a man who shows some type of pride in his style of preaching is sinning. Yet, those who criticize topical preaching do so with a prideful spirit that somehow suggests you are a simpleton if you preach topically. It is sad, but true, that many expositors have pastored big churches, but not many of them have built big churches. 3. Dr. Hyles believed the main purpose of the local church was to equip people to reach and win the lost – Now, my brethren, hear me out on this point. The greatest soul winning church America had seen, in at least a century, was the First Baptist Church of Hammond, Indiana. It remained a soul winning church and duplicated itself worldwide for the entire 42 years Dr. Hyles was pastor, and even now the church continues to see multitudes saved. A topical preacher built it. Be very careful when you point out works where the converts meet in room 200. Be careful when their own version of praise and worship teams take the place of choirs. Be careful when their songbooks are slowly giving way to choruses on a big screen. Be careful when folks like this are proponents of anti-topical preaching. When these men name-drop, evangelicals in their books, take their church staff to the Crystal Cathedral and Calvary Chapel ministries in order to glean the so-called “good” there will be trouble in river city before it is all over. There is much to be concerned about with what is accompanying the anti-topical preachers. 4. Dr. Hyles believed topical preachers typically built great churches and colleges, while expositors come in and eventually kill them – Study as Dr. Hyles did the great soul winning churches in history and you will discover that very few great soul-winning churches were built by expositors. They were built, for the most part, by topical preachers. What happens is that a great soul winning pastor passes off the scene or resigns, and the church seeks a man to come in who has a reputation for preaching, not necessarily soul winning. He comes in and maintains the church, but the great days of seeing masses of people saved and baptized are gone. Let’s use the huge Southern Baptist Churches as an example. There are basically two types of large Southern Baptist Churches. The first type is churches that were built in another era and now maintain their size because of their prestige. The second types are those, which are exploding in growth today. Most of the big older churches are pastored by expositors, but were built by soul winners. The Lindsay’s, who were soul-winning giants and topical preachers, built First Baptist Church in Jacksonville, Florida. The next pastor maintained some of the soul winning, but was more of an expositor. Today the church is a shadow of the soul winning station it used to be. They still have big crowds, but the emphasis is no longer on soul winning. That is just one example. Churches where soul winning is the main emphasis are the ones with new growth. I am in no way endorsing the Southern Baptist Convention. I consequently see the same thing happening in Independent Baptist churches. Look what happened at the old Highland Park Baptist Church in Chattanooga, TN. and Tennessee Temple University. The man that followed Dr. Lee Roberson was not a bad man, but he destroyed what Dr. Roberson had built. The same is true for Dr. Dallas Billington and the great Akron Baptist Temple, Akron, OH. I could relate many more instances, such as the First Baptist Church of Fort Worth, TX, built under the topical preaching of J. Frank Norris. She is a shadow of what she used to be, and the old church building is now a Rock and Roll museum. Look at D.L. Moody. 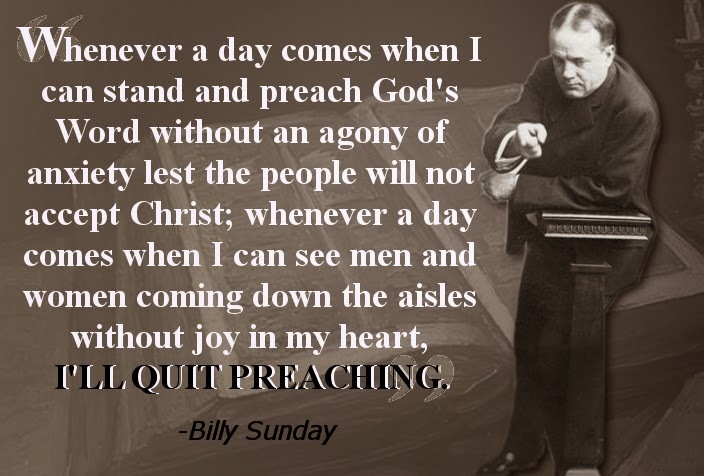 He was a great topical preacher and built a great soul winning church. However, as the church moved into the educational arena, they brought in men who were expositors and the great days of soul winning were over. The Moody Church in Chicago, IL., still attracts a crowd and is a “prestigious” church, but check the number of people walking the aisle and being baptized and you will be disappointed. 5. Dr. Hyles believed there was a big difference in a great church and a big church – Do not study how big a church is without studying how they became big. If soul winning was not a huge part of the growth of the church, then it was a big church but not a great church. For example, if a church grew a thousand, the next thing you should examine is how many converts they baptized. One of my older brothers was a deacon in a famous church in Little Rock, Arkansas. Across town a brand-new church built on the outskirts of Little Rock, with a young pastor. Soon, people began to leave the downtown churches for the new church outside of town. This new church was proclaimed to be the fastest growing church in the Southern Baptist Convention. However, it was built on transfers. 6. Dr. Hyles believed some men killed their own soul winning by being pressured into changing the way they preach – Churches often begin to die before the pastor who built it is even gone. He starts a college and begins to get acclaim from the academic world. The pressure to change is enormous. Eventually, he succumbs and though the church glides on, its great days of soul winning begin to subside. Keeping the orchard healthy is critical. Dr. Hyles used to say that he studied the young Jack Hyles. Why? He did so because the young Jack Hyles was a soul-winning preacher. The young Jack Hyles was a fireball preacher who challenged people to reach the lost. He did not want to change. He did not want to accept fewer people getting saved. He was unwilling to let the world go to Hell just so theologians would respect him. When young men become proponents of anti-topical preaching in order to placate theologians, it will cause them to be afraid to say “No” simply because they want to be accepted. They may consider us to be obstructionists, but I would rather believe that which produced the salvation of souls than the applause of the theologians and their dry church baptistries. 7. Dr. Hyles knew that many of his former people would eventually attend a church where expository sermons were preached – This is a very important point. Where do your old soul winners go when they backslide? Many of them go to a church where soul winning is not preached and there is no emphasis on getting out and reaching lost souls. The pastor “feeds” them but does not rebuke or exhort them much. They enjoy having the pressure off. He knew that someone had to feed those churches. I often say, “Thank God for dead Baptist churches! Otherwise, there would be no place for my converts to go who don’t like standards.” To “rebuke” does not exist in most of the expository world. I will never forget the time I heard him explain that he was the feeder of churches all over the Chicagoland area and Calumet Region. People were saved at First Baptist, but many ended up in non-soul winning churches all over the area. Did it bother him? He was fine with it. He was glad there was a place for them. He felt the tragedy was the fact that the churches that received them criticized the church that reached them, but he wasn’t going to let it affect his spirit. My friend that is no reason to change the menu, for it is God’s menu not mine. Our church in Texas was called a “mega-church” by the press. She was not built on hit and miss preaching and teaching. This stylistic criticism of topical preaching is a dangerous thing of our day. As long as it is “Biblical” preaching it should be fine. 1) LET THEM GO AND DO NOT BECOME BITTER. Do not fight to keep them and do not criticize the other church in an attempt to change their mind. Be glad there was some place they could go rather than die completely. 8. Dr. Hyles grew up under the influence of the great preachers of his day and they were generally topical preachers – Dr. Hyles was a student of soul winning churches, NOT just big churches. There have been many churches in history that became large by being worldly and preaching compromising error. His heroes were the great church builders. Check out the men he admired and you will discover that they were great Bible students, who for the most part preached topically. He also did not study them at the end of their ministries. He studied them at the zenith of their ministries. Some changed and he knew that, but he still loved and admired them. He did not check to see what they did after they succeeded, but rather what they did on their way to success. He saw men change who had once built great soul winning churches, but he did not study their change. He studied their success. 9. Dr. Hyles recognized that people in churches that had expository preaching were no more “mature” than churches with topical preaching – What is maturity? Well, if you listen to the critics of topical preaching, it is Bible knowledge. That is insane. The person who I want operating on me is not the professor who could recite the medical book backwards and forwards. I want the guy who may not know the book inside and out, but who has performed thousands of successful surgeries. Great doctors are not the ones who know the most. Great doctors are the ones who know how to DO the most. Great Christians are not the ones with the most knowledge. They are the ones with the most wisdom. Some of the best Bible students I have ever pastored were some of the laziest troublemakers I have ever pastored. Some of the greatest servants of God were not well-educated, but they loved the Lord and loved reaching and helping people. Do not get caught up in this deeper life myth that says that the more Bible you know the greater Christian you will be. Truth be known, the greater soul winner you become the more you will want to know the Bible in an intimate way. Expository preachers do not create great soul winning Christians. Often, what they create is fat, lazy ones who are filled with pride for how much Bible they know. 10. Dr. Hyles knew topical preaching worked best to build a great local church – Again, in studying the great churches he learned how to build a New Testament church. To build a soul winning church was best done through topical preaching. It was the freshness of the topics that were of concern to the members, which led to proper decision making to rectify the wrongs and address the weaknesses. Counseling sessions revealed much to Brother Hyles, and his answers often became subject matter for sermons and Wednesday night Bible studies. A series on Wednesday night was like taking a bottle of medicine, one pill at a time, or one Wednesday night at a time. Some issues cannot be answered with one sermon and require extensive attention. To take a whole bottle of medicine at one time would kill the patient, but to take one pill at a time, will cure the patient. I looked forward to the Wednesday night Bible study. It was one of the highlights of my week. The topics were relevant and revealing and all wrapped in doctrine. 11. Dr. Hyles saw the pride that often came to those who became expositors- Even worse, Dr. Hyles watched them change. He told me once that he could name pastor after pastor who at one time had a thriving soul winning church when they were topical, but who after they changed the way they preached the entire ministry changed. The church still maintained some status and size, but the baptistery waters were no longer stirred with converts like they once were. Success is more dangerous than failure. Paul mentioned he knew both how to be abased and how to abound. Many a great church builder became a spokesman for that which he did not do because of intimidation. Peer pressure from the brethren is a killer. Brother Hyles was comfortable in his own skin and would not experiment on his people in order to please the brethren. 12. Dr. Hyles believed a topical preacher could build greater faithfulness and diversity than could an expositor – The greatness of First Baptist Church was so diverse that most men missed it. For example, there were hundreds and hundreds of laymen teaching Sunday school. On Sunday nights, the church was packed to hear more preaching. On top of that, the Bible studies and practical teaching on Wednesday nights drew 5,000 people every week in attendance. Show me topical preaching and I will show you churches that are not cancelling Sunday night and Wednesday night church services. In fact, most of these churches are thriving. More people will attend more services in a topical church than an expositional one. Dr. Hyles saw expository teaching best suited to Wednesday night Bible studies, yet they were topics. People love teaching, yet they respond to preaching. Teaching appeals to the flesh, but preaching appeals to the spirit. 13. Dr. Hyles knew that expository preaching usually accompanied a non-soul-winning church – If you want to hear expository preaching then go to a dead church filled with dead orthodoxy and you will hear it. Go to a soul winning church and you will probably hear a man of God preaching the Word of God, addressing the needs of the people. Do you want to kill a soul winning church? Preach expository sermons all the time and, for the most part, you will accomplish just that. A woman considers two things when she prepares meals for her family. First, she considers what would make a good meal. Secondly, she considers what her family needs. Now let’s suppose that she bought a cookbook and decided to just cook her way through the cookbook recipe by recipe. One aspect of her preparation is now lost. She is following a cookbook, but she is not considering the needs of the family. Now she has lost one of her motivations and guides. Dr. Hyles believed that his job as a shepherd was to know the needs of the sheep as well as the recipe book, the Bible. He preached what they needed, not something he had pre-determined thirteen weeks ago as a part of a series. Series teaching/preaching was reserved for Wednesday nights. Sundays were for meeting the needs of the people. This may surprise you, but it takes less work to go verse by verse than it does to develop a topic for a sermon. The latter is work and most preachers do not like to work, I’m sorry to say. Most it seems are lazy mentally, spiritually, and physically. 15. Dr. Hyles believed that topical preaching best met the needs of the people – He was a shepherd and he believed that his job was to preach sermons that met the needs of the people. This will not go over well, but expository preaching is easier in preparation than topical preaching. Topical preaching takes more work and is need oriented. 16. Dr. Hyles believed he was there to fix people and not educate people -Whatever happened to personal responsibility? People love to point their finger at a pastor and blame him because they do not know their Bibles. Well, guess what? That is their own fault. They have a Bible. Study it. Church is not where you learn the Bible. Church is where you receive preaching and teaching from the Bible they have already studied. That is what Dr. Hyles believed. It was not a spur of the moment choice with him. It was his personal belief. That leads me to the next point. 17. Dr. Hyles realized people who wanted to learn the Bible would need to study it for themselves – Dr. Hyles did not consider Hyles-Anderson College to be a place to learn strictly, the Bible. Any one who has surrendered to full-time Christian service, and is worth their salt, ought to be motivated to study the Scriptures and learn to rightly divide the Word. The reason there are malcontents from our Bible Colleges is very simple, they were not sold out to the LORD in the first place. College is playtime to them. I was a part of the first four-year class at Hyles-Anderson College. I graduated in 1976. There were more married students than single students and there was a seriousness about the place. It had not become a baby-sitting service for those who had not a single solitary thought as to why they were there. Brother Hyles made the Scriptures live and they were a challenge to our every day lives. Yet, the truth is, we studied the Scriptures on our own and that made the preaching even more exciting. 18. Dr. Hyles knew that people live topical lives, with topical problems, with topical struggles, and that men of God need to address them with Biblical answers – When I sat with my family in the pews of First Baptist Church, I felt as if Brother Hyles was talking personally to me and my family. Not a week went by that I did not hear Biblical answers to my topical questions. I asked Evangelist Jim Lyons one time what was the difference between Jack Hyles and other preachers? His response was, “He studies people and knows people.” He had made a quest of knowing people as to how they thought and responded to certain stimuli. Our lives are lived from one problem to another problem needing to be solved. God’s people need men of God who know their members. 19. Dr. Hyles realized topical preaching was often more confrontational -This was very important to him. I want to be careful about the word confrontational because it is often misunderstood. Confrontational preaching is not always meant to be contentious. It is meant to confront people with truth and cause them to make a decision based upon that truth. It is not mean, hateful, or designed to purposely make people mad, but at times it will. People will at times get upset when you tell them something they do not want to hear or face. Topical preaching confronts people and that is a good thing. Jonathan Edward’s sermon, “Sinners in the Hands of an Angry God” was pretty confrontational. R. G. Lee’s “Payday Someday” was confrontational. Preaching has throughout history been confrontational. Most exegetic sermonizing skirts important issues of the day. The fear of confronting people with the truth has paralyzed many a preacher. Expository preaching doesn’t expose much sin. It may delicately say this is a Biblical insight or Biblical principle, but it is never declarative and dogmatically stated. 20. Dr. Hyles understood that topical preaching had its inherent risks and weaknesses – People are foolish if they think he was not aware of the risks of topical preaching. Everything we do has risks and we need to be aware of them. · “Hobby horse” preaching is a risk. · Opinionated preaching is a risk. · Out of context preaching is a risk. · Lazy study habits are a risk. · Extemporaneous diatribes are a risk. If a man understands the entire principles of Dr. Hyles preaching, they would understand that he was not some off-the-wall careless pulpiteer. NO ONE gave more time and attention to do it right than Dr. Hyles did. He would spend hours on just one sentence. He labored over his sermons, and the truth is, it is hard work to preach a good topical sermon. It will take time and study not unlike the exegetical expository style of preaching. 21. Dr. Hyles’ goal was to be and remain to be the general practitioner – This was the one thing I heard him say the most about his preaching. Let someone else be the heart surgeon, the brain surgeon, or the specialist. He wanted to reach the masses and the way to do that was to be the general practitioner. The subject matter at hand for those whom he loved was the most important issue for him. He did not live for himself, but he did live, love, learn, and lend to those who struggled in life. He literally died of a broken heart that was worn out from helping others his entire adult life. Their topic was his topic. 22. Dr. Hyles recognized that expositors receive more respect and accolades on earth, but Hellfire and damnation preachers will see more souls in Heaven – This is a very important point. Do you think that he did not hear what people said? Many preachers turn into expositors because of peer pressure. They want the respect of the intellectual world. Dr. Hyles could have done that, but it was not what he was called to do. He was called to a purpose and the pressure of accolades did not drive him to be what he knew he was not supposed to be or do. I was present at a national convention of fundamental preachers recently. Do you know what the majority of the sermon topics were about? It was back handed slaps at topical preaching. Not until this day and time has anyone classified styles of preaching. Style rather than substance is being taught in some Bible colleges. They downplay a Jack Hyles’ ministry, where a million souls came to Christ, by attacking his topical preaching to build up there weak altar calls with their expository preaching. My heroes either called it Bible preaching or poor preaching. Some young leaders have started their own class warfare spiritually, and if I have to choose sides, it will be on the side of topical preaching. I would rather we go back to the days of either it being called Bible preaching or non-Bible preaching, but it appears that is not going to happen.